Bharti Technologies sole distributor of GPS Vehicle Tracking System [devices, equipment & software] in Dubai, Abu Dhabi, Sharjah across UAE. Bharti Technologies GPS Vehicle Tracking System, a combination of hardware and software is a complete GPS tracking solution offering a host of exciting features. We are eminent in providing the most advanced GPS based Vehicle Tracking System. Using our GPS tracking we will empower you to track the exact locations of your vehicles and effectively manage them. Bharti Technologies has turned into a solid name in GPS tracking for many companies crosswise over Dubai, Abudhabi and UAE. The hardware devices which can be installed in any vehicle type report information to servers hosted by Bharti GPS Vehicle Tracking Systems, this information is disseminated through our flexible real-time web interface accessible from any PC with an internet connection or via a mobile device such as a Blackberry, an I-phone or a PDA. Basically, a vehicle tracking system is a small electronic device installed in your car, commercial vehicle, HGV or plant equipment, which gives you the ability to track the vehicle’s location. 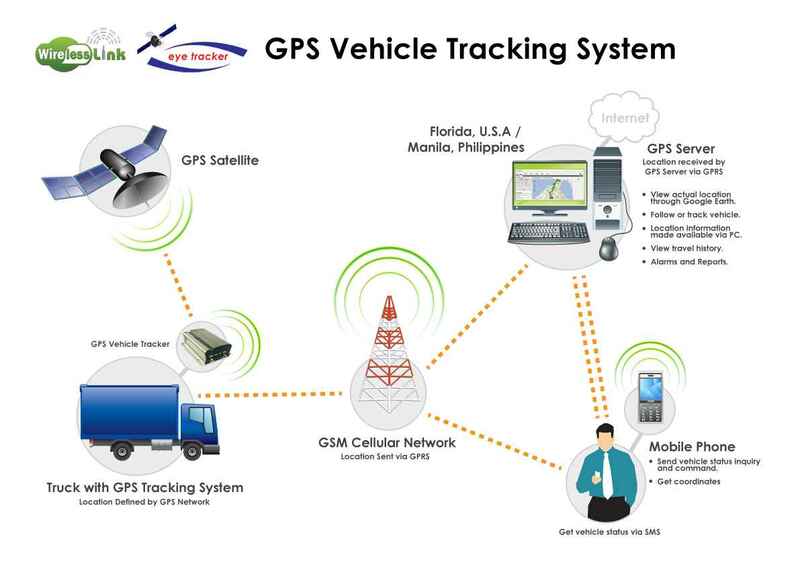 Vehicle tracking systems generally use Global Positioning System (GPS) to locate the vehicle although there’s also a Radio Frequency (RF) product available on the market too. Whether you use GPS Vehicle Tracking or RF Vehicle Tracking will depend on what you want from your system. If you’re a fleet manager you should opt for the GPS service, also known as Satellite Tracking. GPS tracking products can track multiple vehicles at the same time and transmit the information directly to your computer in real time. It can tell you where the vehicle is, how fast it is traveling as well as whether the driver is revving the engine too much or how hard they are breaking etc; giving you the ability to work with the drivers to help modify driving techniques, to save on fuel consumption and wear and tear. With a GPS system, it is important to remember that the vehicles are monitored by satellites circling the earth and they rely on line of sight, which means they have to be able to see the vehicle in order to track it. If the vehicle goes into a garage, tunnel or building the vehicle tracking system will not be able to let you know what the vehicle is doing. This is can also apply when vehicles are in a major built-up area where the signal may be intermittent. To resolve these issues some vehicle tracking systems have both active and passive tracking. For companies with one or two vehicles, or where you don’t need to know the exact movement of the vehicles, or where you are simply concerned about the vehicles being stolen, an RF vehicle tracking system would be more appropriate. In an RF vehicle tracking systems, often referred to as a Vehicle Locator Unit (VLU), a small radio transceiver is installed in the vehicle. This remains inactive until it is reported that the vehicle is stolen or until the vehicle needs to be located. When this happens a signal is sent out to activate the VLU, this, in turn, sends out signals to local receivers which, depending on the type of VLU, will estimate from a few miles to a few hundred feet, the location of the vehicle. Vehicle location is shown on a computerized map which means relevant people (the police etc) can be directed to the position. With the aid of a mobile tracking device, the exact location can be pinpoint even if the vehicles hidden in a garage. Log download option for accident analysis, speeding offenses, etc. [subject to an additional charge, log capacity up to 10,000 events].